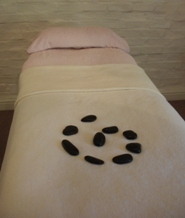 This therapy incorporates crystals, acupressure and hands-on techniques to promote the release of physical pain and discomfort, whilst calming and relaxing the mind and emotions. Crystal Energy Release enhances a free flow of energy to free blockages within the physical body that can both contribute to physical pain and be affected by it. It is truly holistic in its approach, bringing the individual into a state of relaxation, harmony and peace, thus improving overall health and well-being. Unified Healing brings about balance and unity to all aspects of a person. 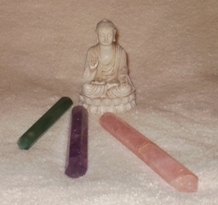 Using symbols, mantra, crystals and colour this beautiful therapy leaves you in a tranquil state of stillness and peace.